In Back to the Series I look back on series that I have started, but not yet finished. Think of it as a sort of reminder for myself to pick up the sequel(s) so I can see how it all ends. This time: Unearthly by Cynthia Hand. In the beginning, there's a boy standing in the trees... Clara Gardner has recently learned that she's part angel. Having angel blood run through her veins not only makes her smarter, stronger, and faster than humans (a word, she realizes, that no longer applies to her), but it means she has a purpose, something she was put on this earth to do. Figuring out what that is, though, isn't easy. I loved both Unearthly and Hallowed. I loved how they complimented each other, but still felt like distinctive books -- no middle-book-syndrome for this series. So if I loved those books, why haven't I picked up the final instalment? Honestly, I have no idea. It's one of those things you postpone and then before you know it you're almost two years along the line and you still haven't done it. I'm going to make reading Boundless a priority in the near future. The books are gorgeous so I might as well complete my collection. They'll look so pretty on my shelves! Pretty covers aside, I really am curious to see how the series will end. Hand really turned the game around in Hallowed and I have no idea where the story is going. I love that! Do you guys have any series you started but not yet finished or continued? Which ones? 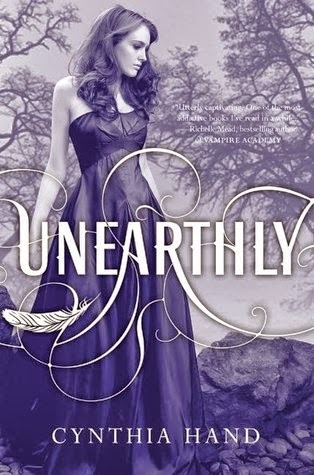 I liked Unearthly, I thought Hallowed was even better and then I read the last book and I hated it so much. Haha, I hope you're going to love it more than I did! 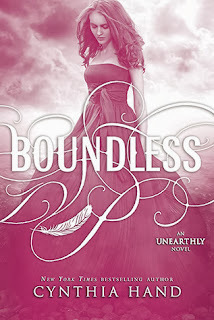 I totally loved Boundless!! I had ALL THE FEELING while reading it and OMG, I just could not put it down!! Let me know when you're reading it!